During my youth I spent many evenings down by the docks, fishing and watching the lake. I dreamt about the freedom that comes with owning your own boat, and the seemingly endless possibilities. Today I’ve had my own boat for many years, but I never forget how lucky I am. 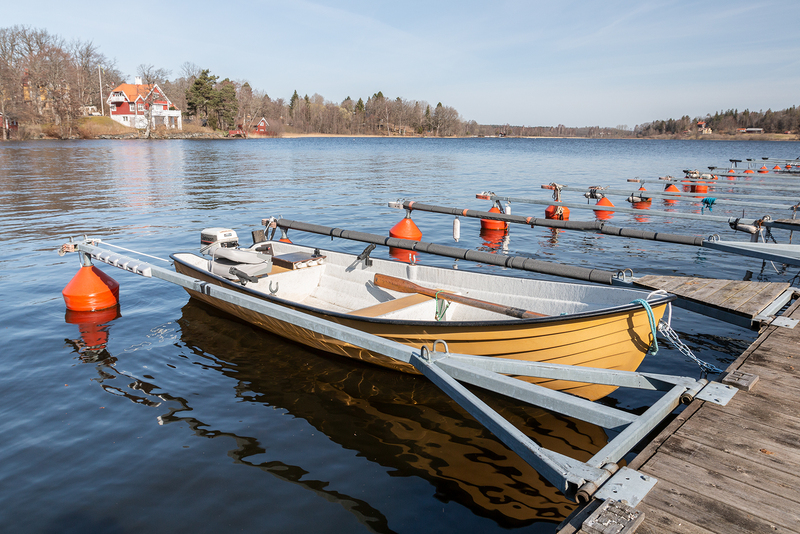 To offer the same possibilities to visitors and locals, we have finally got our first rental boat! The boat on the picture has a 2 stroke engine, oars, rod holders, anchor and a comfortable seat. A chart and two life wests are included. We offer a transom-mount trolling motor for a low extra fee. Under prices there is information about costs. Under booking you can find contact information. You get the key, gas tank and accessories at our place, and at the same time you pay the rest of the fee together with a deposition. After the day is done you clean the boat, travel back to us and hand over the key, gas tank and accessories, and we will give you back the deposition.